As part of of our three week adventure to Austria, Italy, and Turkey (the AIT Tour) we visited Melk Abbey in Melk, Austria. Relics always intrigue me and Melk’s relics were quite something! Thousands of skeletons were dug up from Roman catacombs in the 16th century and moved to churches in Germany, Austria and Switzerland on orders of the Vatican. The relics were sent there to replace the relics destroyed in the Protestant Reformation in the 1500’s. Mistaken for the remains of early Christian martyrs, the relics became known as the Catacomb Saints, becoming shrines, reminding the faithful of the spiritual treasures in heaven. 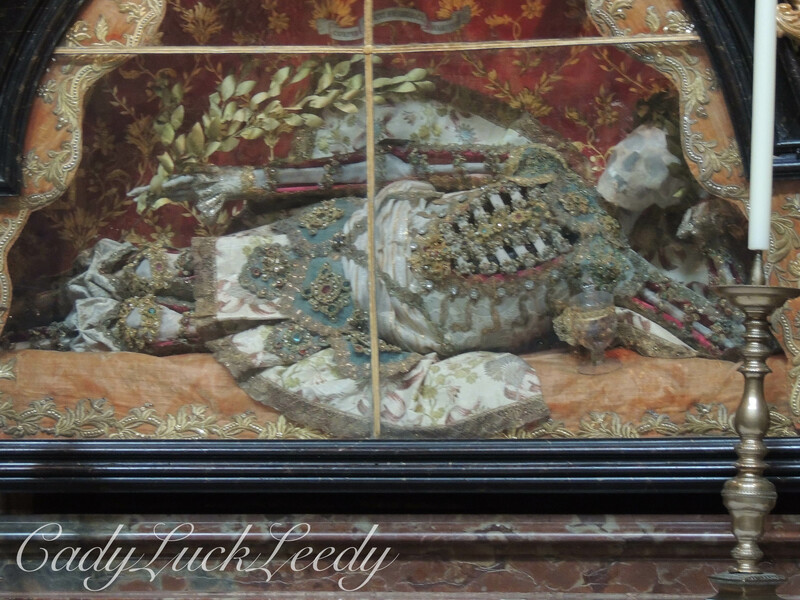 Both St Clemens and St Friedrich were painstakingly decorated in thousands of pounds worth of gold, silver and gems, by devoted followers, before being displayed in the Melk Abbey niches. Won’t you join me as we adventure on the AIT Tour? Enjoy! My goodness – those are quite something! Ewwwww!!! Wonder how they’d feel about being dug up and decorated! Good challenge choice. Tina, Yes, I know that shock. The first time I saw a relic I didn’t quite know what to do. I wrote a post about it here. 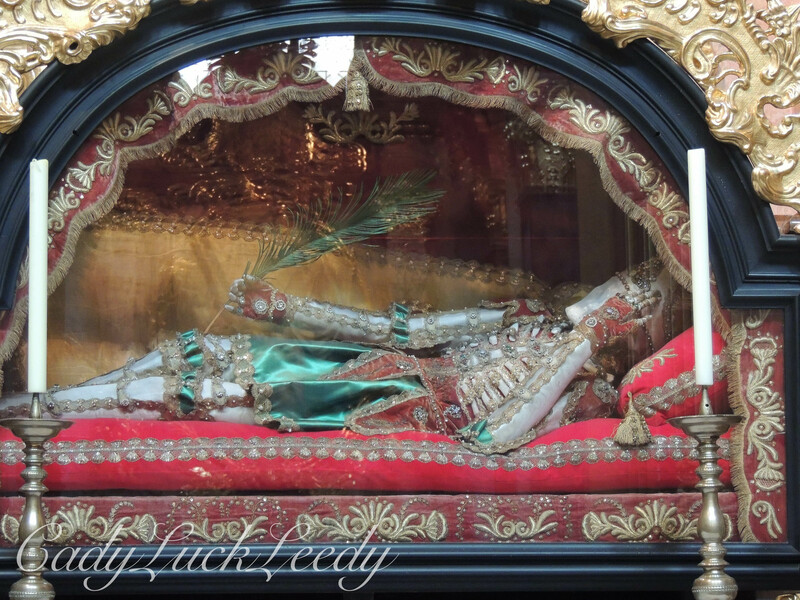 https://cadyluckleedy.com/2013/04/07/my-take-on-magnificent-corpses/ ‎It is very symbolic, however, in the Catholic Church and an honor. A relic can only be removed from a church on order from the Pope. Wow. I missed these when we visited the Abbey in Melk! I’ve reblogged this lovely post in my online learning blog. Relics were introduced to me in ‘The Times of Richard 111’ and I couldn’t pass up having a reminder of these two wonderful photos of yours. The poses are scary. Thank you!